Recently, I’ve begun experimenting with HDR photography. In HDR (High Dynamic Range) photography, you take several different exposures of a subject (a tripod is essential for this part) and then you merge them together in post production using a program like Photomatix (which has a good inexpensive version and thus is the one that I like). The program merges the images (up to five different exposures in the case of Photomatix), creating a layering of light and shadow and color that can’t be obtained through normal photographic techniques. There’s additional playing around you can do at that point, too — different effects that can be experimented with; different settings that can be tweaked. However, sometimes the program glitches. This happened to me yesterday. 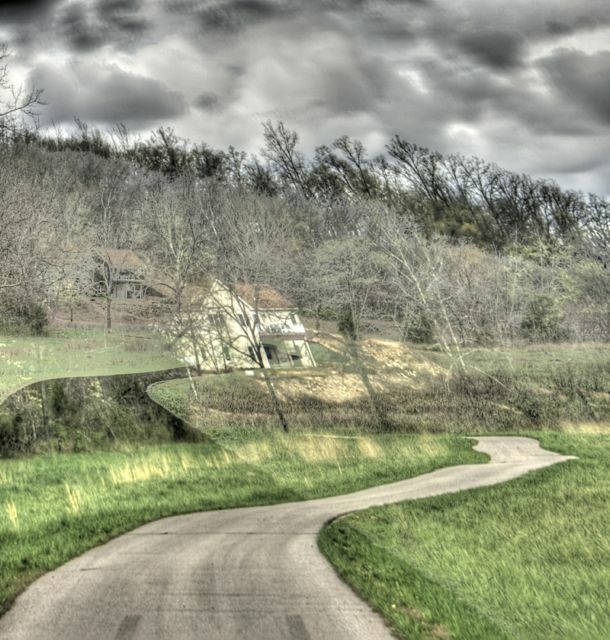 I got a picture I’d taken in Missouri wine country just about right, so that it looked like Image 1. This is how the HDR shot was supposed to come out. Pretty good. Very dramatic. So I saved it. But what I saved came out looking like Image 2. This is how the picture ended up coming out the other side of the HDR program's mixmaster. A much different effect, but, in fact, one that I like considerably better. It has a haunted, Van Gogh-like feel to it that is very evocative of October days and Halloween moods. Now all I have to do is figure out how to replicate that skewing in the future so that I can do it on purpose. Or, maybe, this is just a one-of-a-kind success by way of a mistake. In this way, it almost becomes ‘found’ art: art that wasn’t meant to be ‘artistic’ but rather utilitarian, like warning signs in subway stations that become poetry when the lines are re-arranged to appear more ‘poetic’, or the chance juxtaposition of a billboard and something going on below it that is either ironic or apt (Image 3). 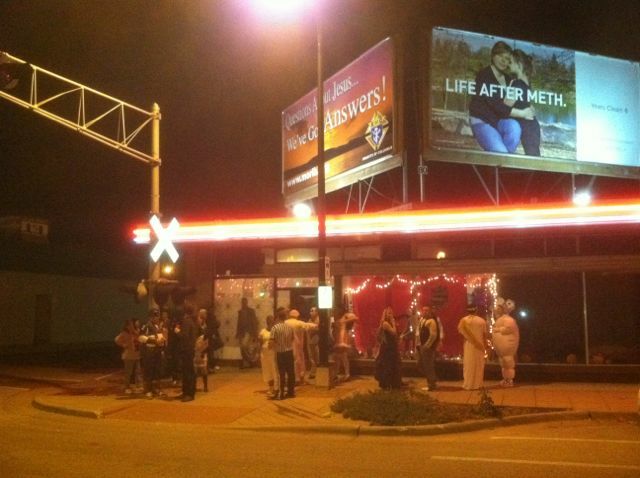 In this 'found art' image, the billboard above the partiers creates an ironic juxtaposition, implying that 'Life After Meth' can be just as strange. In either case, don’t be too upset when your photography program messes up your work, or when you spill a jar of paint on a nearly-completed canvas, or when the characters in a story you’re writing seem to refuse to do what you want them to do. Go with it. See what happens. It might turn out to be art. 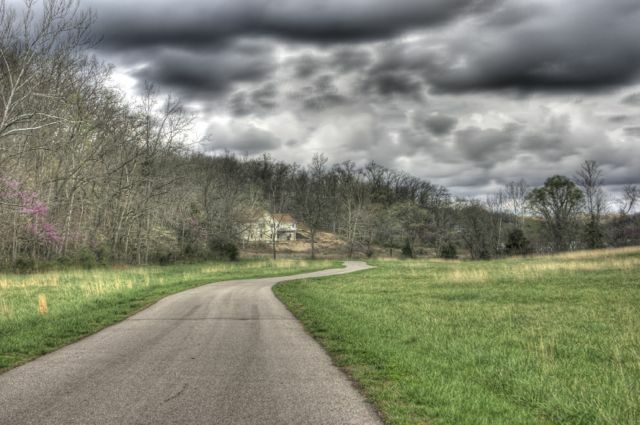 This entry was posted in Creativity, How To and tagged art, creativity, found art, HDR, luck, mistakes, photography. Bookmark the permalink.